Following a long-running legal battle with the Australian Competition and Consumer Commission (ACCC), Australia’s largest travel retailer has gone down hard, with the Full Federal Court of Australia yesterday ordering Flight Centre to pay AUD 12.5 million for trying to induce three international airlines to enter into price fixing arrangements between 2005 and 2009. To protect its “price beat guarantee”, Flight Centre sought to have each airline agree not to offer airfares on its own website that were less than those offered by Flight Centre. The matter was remitted to the Full Federal Court for determination of penalty, following the ACCC’s successful appeal to the High Court of Australia in December 2016. The AUD 12.5 million in penalties imposed yesterday is a 13.6% increase from the original AUD 11 million imposed on Flight Centre by the trial judge in March 2014. Both the ACCC and Flight Centre appealed those penalty orders. “The ACCC appealed from the initial AUD 11 million penalty orders because it considered that this level of penalty was inadequate to achieve a strong deterrence message for Flight Centre and other businesses,” ACCC chairman Rod Sims said. The case arose over approaches Flight Centre made to Malaysia Airlines, Singapore Airlines and Emirates asking the airlines to commit to “allowing us a margin to operate”. In yesterday’s judgement, Justices James Allsop, Jennifer Davies and Michael Wigney said: “The three airlines in question, on websites run by them, sold tickets directly to the public at a price lower than the fare published to travel agents, including Flight Centre. “This required Flight Centre, if it were to beat that price, to sell the ticket, on behalf of the airline, at a price which either reduced or eliminated its commission or margin, depending upon the extent of the difference. Thus, by this pricing, the principal airline could erode the agreed commission and margin of its agent, at least in so far as the agent gave the public its guarantee to beat the price of anyone else. “Further, the publication of this price on the airline website might well encourage a customer to deal directly with the airline and, perhaps, not even approach, or thereafter return to, a travel agent such as Flight Centre. The matter of costs has still to be decided. Commenting after the case, ACCC chairman Sims noted that Flight Centre was Australia’s largest travel agency, with AUD 2.6 billion in annual revenue. “We will continue to argue for stronger penalties which we consider better reflect the size of the company, as well as the economic impact and seriousness of the conduct,” Sims said. “Significant, large penalties act also as a general deterrent to other businesses that may be considering such conduct themselves. The Full Court’s penalty decision comes just a week after the OECD released a report which found penalties for breaches of competition law are significantly lower in Australia than other comparable OECD jurisdictions. The ACCC said the report provided valuable insight for discussion about the future of penalties in the context of competition law in Australia. The full Federal Court of Australia Judgement may be read here. The ACCC instituted proceedings against Flight Centre in 2012, alleging that on six occasions Flight Centre attempted to enter into arrangements with Singapore Airlines, Malaysia Airlines, and Emirates in relation to the price of international air fares offered online that were cheaper than Flight Centre. Flight Centre was ordered to pay penalties totalling AUD 11 million. The Court found that Flight Centre had attempted to induce anti-competitive arrangements or understandings with the airlines to prevent them from offering international air fares on their websites which undercut the fares for those flights which were being offered by Flight Centre. Flight Centre appealed to the Full Court of the Federal Court from Justice Logan’s liability and penalty decisions, and the ACCC lodged a cross-appeal in relation to the penalties imposed. The Full Court allowed Flight Centre’s appeal and dismissed the ACCC’s cross-appeal. The Full Court found that Flight Centre and the airlines did not compete with each other in a market for distribution and booking services. 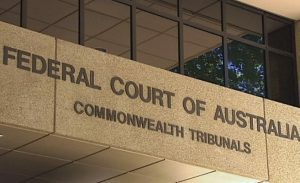 The ACCC filed an application seeking special leave to appeal to the High Court. The High Court heard the case in July 2016 and delivered judgment on 14 December 2016. The High Court found the relevant market in which the conduct occurred was the market for the sale of international airline tickets. The High Court found that Flight Centre and the airlines did compete in that market, and that Flight Centre had attempted to induce anti-competitive arrangements with the airlines. The High Court remitted the matter to the Full Federal Court for determination of the penalty appeal and cross-appeal brought by the parties. The Full Federal Court heard the penalty appeal and cross-appeal. Flight Centre was ordered to pay penalties totalling AUD 12.5 million.